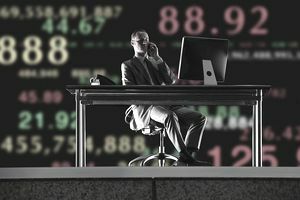 More and more investors are opting to use an Internet-based broker for their trading, which often means they must know exactly the type of buy or sell order they want to enter. You can use a variety of buy or sell orders to take more control over the transaction than a simple market order. Some of the orders restrict the transaction by price, while others constrain it by time. Let’s go over some of these orders, which work whether you are dealing with an Internet-based broker or an actual human. The market order is the simplest and quickest way to get your order filled (or completed). A market order instructs your broker to buy or sell the stock immediately at the prevailing price, whatever that may be. If you are following the market, you may or may not get the last price listed. In a volatile market, you will probably get a price close to that, but there is no guarantee of any specific price. One final, but important note: Market orders will likely be the most inexpensive of the orders you place. Limit orders instruct your broker to buy or sell a stock at a particular price. The purchase or sale will not happen unless you get your price.​ Limit orders give you control over your entry or exit point by fixing the price, which can be helpful. However, you may want to do some math first. Check with your broker to see how the commission on limit orders compares with what you pay for market orders. If there is a significant difference, you may be better off with a market order (assuming the price is at or near your target) and saving on commissions. A stop loss order gives your broker a price trigger that protects you from a big drop in a stock. You enter a stop loss order at a point below the current market price. If the stock falls to this price point, the stop loss order becomes a market order and your broker sells the stock. If the stock stays level or rises, the stop loss order does nothing. Stop loss orders are cheap insurance that protects you from a loss. The trailing stop order is similar to the stop loss order, but you use it to protect a profit, as opposed to protecting against a loss. If you have a profit in a stock, you can use the trailing stop order to follow it up. You enter the trailing stop order as a percentage of the market price. If the market price declines by that percentage, the trailing stop becomes a market order and your broker sells the stock. If the stock continues to rise, the trailing stop follows it up since it is a percentage of the market price. This protects your additional gains. A Good till canceled order instructs your broker to keep the order active until you cancel it. Obviously, you use this order with other order types to specify a time frame for the order. Some brokers have limits on how long they will hold a GTC order. A day order is any order that is not a good till canceled order. If your broker does not fill your order that day, you will have to re-enter it the next day. The all or none order states you want the entire order filled or none of the order filled. You would use this type of order for thinly traded stocks. You may find these orders called slightly different names at some brokers, but the concept will be the same. The most useful orders are market orders, stop loss orders, and trailing stop orders. The others are good to know, but you may not use them often.